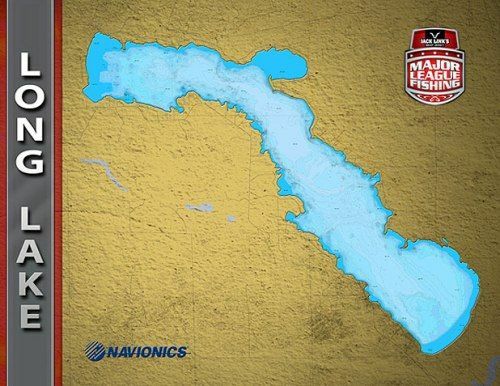 ALPENA, Mich. – Sudden Death Day Two of the Jack Link’s Major League Fishing 2014 General Tire Summit Cup in Alpena, Mich., was forecasted for stormy, adverse weather on Long Lake. While Sudden Death Day One proved to be one of the tightest battles in the history of MLF, this day turned out to be one of the more explosive ones. The six-angler field had their eyes on the 40-pound qualifying weight, established by MLF officials, when the day began. As it happens in these events, the faster an angler begins to put the puzzle pieces together, the sooner he can start looking in the rearview mirror at the rest of his competitors. While the thunderstorms were supposed to arrive around midday, it didn't take long for the competitive electricity to start on the water. Early in the day, there were some random catches here and there as anglers learned the surroundings and looked for predominant patterns. After weeding through Hubbard Lake information they learned from the Elimination Round, anglers began to focus their efforts on Long Lake and the current task. It wasn’t long before results started pouring in from the leaderboard. Judging from the Elimination Round, it should come as no surprise that two certain anglers started to set a blistering pace. While Kevin VanDam and Brent Ehrler may not have been the first ones out of the gate, they did become the first two anglers to get in rhythm with Long Lake's smallmouth bass population and start to pull ahead of the field. 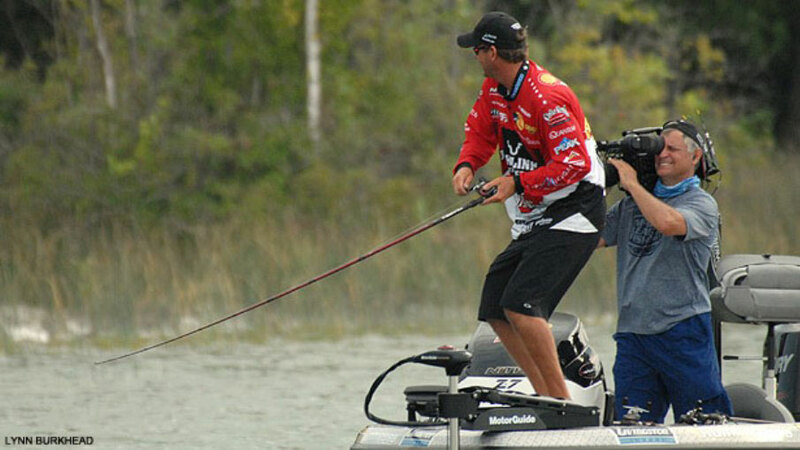 VanDam quickly made the adjustments needed to capitalize on what the fish were doing and build a significant lead. In fact, the Kalamazoo, Mich., pro set such a strong pace that he ended the first period less than 11 pounds short of the 40-pound cutline. Had he given up on an assumed working pattern a little sooner, he may have punched his ticket to the Championship Round in the first period. With his jerkbait assault from the Elimination Round on his mind, KVD began the day on Long Lake doing the same. It wasn't until he turned to a spinnerbait, and eventually a squarebill crankbait, that he began his stride. He ended up being the first to reach the 40-pound cutline in the second period. While the remaining anglers battled for the final two tickets to the finals, KVD headed back to his Alpena hotel to ready tackle for the Championship Round. Ehrler wasn’t too far behind VanDam early in the day. In fact, he had 20 pounds at the end of period one, but it took him until early in the third period before he reached the cutline, earning his spot in the finals. While VanDam and Ehrler were sprinting towards the finish line, Grigsby, Lane and Evers were trading shots back and forth throughout the day for third place. In the end, Grigsby found two schools of smallmouth and was able to rotate between them with a dropshot to catch the weight he needed. With around 45 minutes remaining in the third period, Grigsby reached the cutline to finalize the six-angler field for the finals. With the angler field set for the 2014 Summit Cup Championship, only two unknowns remain. Will the final day be contested on another new lake? And, which angler will be able to handle the pressure and find the answer to the unknown for a third time? Then there’s the obvious thought racing through the minds of five of the six finalists: Could they stop the VanDam freight train that has built up speed through the Elimination and Sudden Death Rounds? Looking at how the 2014 Summit Cup has unfolded up to this point, there are some similarities to the 2012 Challenge Cup on Amistad. But, will the end result be the same? To find out, watch Outdoor Channel Saturday, February 8, at 2 p.m. ET for a special two-hour show of the finals. PLEASE NOTE: The Championship Round, that will air on Saturday, February 8, is a two-hour show and will start at 2 p.m. ET. One hour earlier than normal.